Your wedding is a celebration of love to be treasured forever, so planning your wedding should be fun, exciting, and joyful. 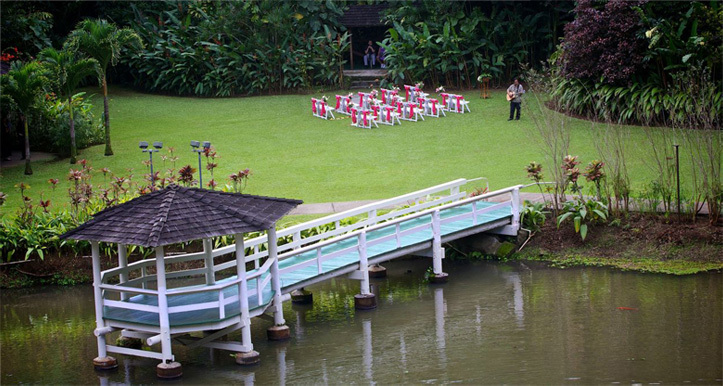 At Haiku Gardens, we have a dedicated, Certified Wedding Planner whose only focus is on making your day one you’ll never forget. 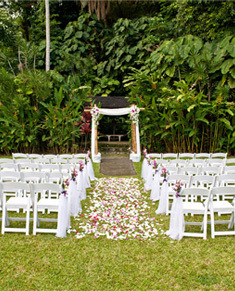 Whether you live on the island or across the ocean, we make planning your big day easy. We’re here for you to answer your questions, offer our creative insights, handle logistics, and provide the overall planning followed by detailed execution. Please feel free to contact us to set up an appointment for your own personal tour of Haiku Gardens or to find out additional information. 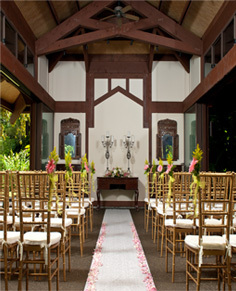 Your ceremony can be held in our private, botanical Garden or our beautiful, open-air Tahitian Chapel. Feeling creative? Work with our Wedding Planner to come up with something completely unique! 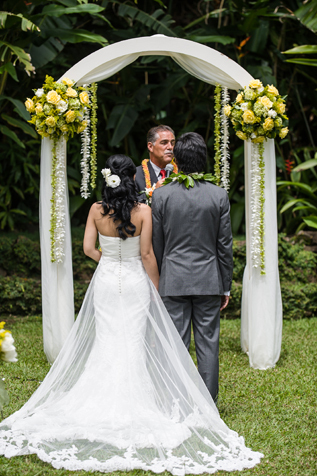 Our complete facility is available for exclusive use Monday through Saturday for a 10am ceremony followed by a lunch reception until 2:30pm for 50 – 175 of your closest family and friends. 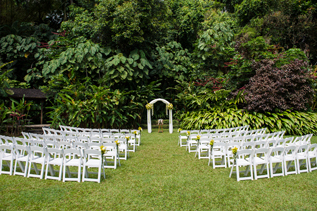 Just looking for a ceremony site? We’re available 7 days a week for you and can accommodate celebrations for 2 – 200 guests! Please contact us for timing and more detailed information.